A Mass of Christian Burial was celebrated Nov. 20 at St. Josaphat’s Church, Bayside. 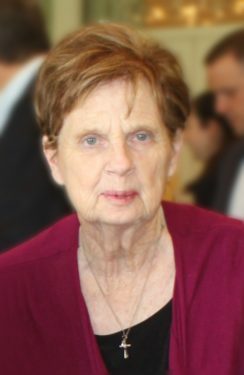 She is survived by her husband, Deacon Robert P. Lonergan, who serves at St. Josaphat’s parish. Burial was in St. John of God Cemetery, Central Islip, L.I.